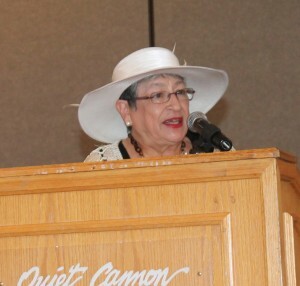 Club Treasurer Marie Montanez welcome the guests and fellow club members to their Annual Fundraising Fashion Show and Luncheon held on March 9th at the Quiet Cannon in Montebello. 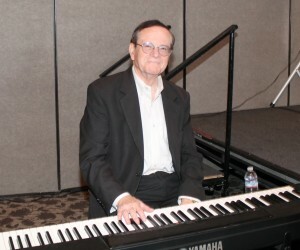 Jim Munns provided the entertainment as he played many great songs on his keyboard to the delight of the audience. 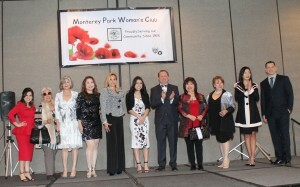 President Katherine Torres thanked everyone for supporting the Monterey Park Woman’s Club. 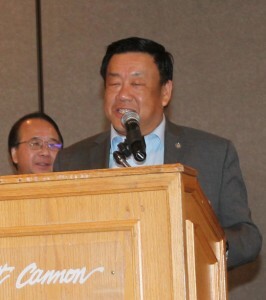 She introduced the city’s elected officials: Mayor Peter Chan, Mayor Pro Tem Hans Liang, Councilmember Teresa Real Sebastian, City Clerk Vince Chang and City Manager Ron Bow to the guests. She thanked them for their support. She thanked the Monterey Park Police Officers and Firefighters for their support. Members of Boy Scout Troop 329 presented the colors and led our Flag Salute. 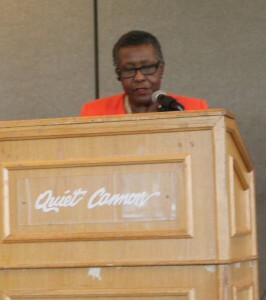 First Vice President, Dean, Virginia Greene gave the Inspiration. She reminded everyone that this is the International Women’s Day weekend. Every woman she meets inspires her to greatness. This year “Lancôme” is honoring older women as the faces of their makeup lines. One of their key people is Iris Ababl, their 93 years young makeup artist. She said she admired an anonymous quote from a woman “I keep moving because it cuts down on the funeral expenses”. Women are powerful from the beginning to the end. She thanked all of the powerful women in the room. Enjoy the day! 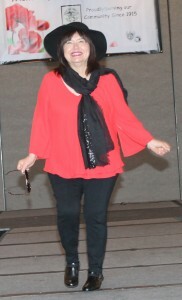 Fashion Show Chairwoman Victoria Chavez thanked everyone for being here today to support their club. 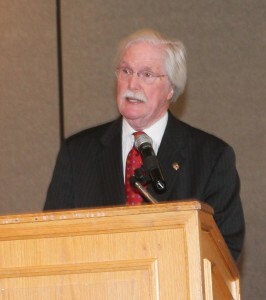 Larry Sullivan gave the Invocation. Dear Lord we are grateful for the time and the friendship we share. Keep us diligent in your eyes. Always remember to celebrate in Jesus’ name. 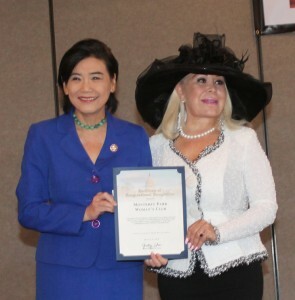 Congresswoman Judy Chu said the Monterey Park Woman’s Club is older than the city. It was established in 1915. This club helped the city incorporate in 1916 to prevent it from becoming a sewer farm. They help all of the residents with their donations. They help on women’s health issues. They are also helping young girls and woman to achieve careers in Science, Technology, Engineering, and Math (STEM). Women contribute to America. 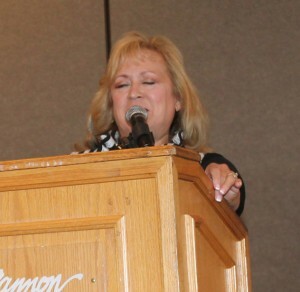 She presented Club President Katherine Torres with a proclamation of appreciation. 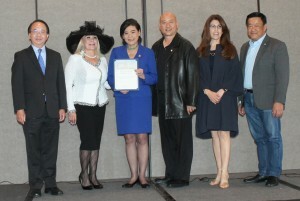 Mayor Peter Chan, Mayor Pro Tem Hans Liang, Councilmember Teresa Real Sebastian and City Clerk Vince Chang joined Congresswoman Judy Chu and Katherine Torres for a group picture in honor of this event. 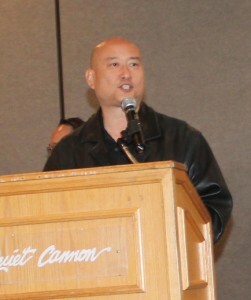 Mayor Chan welcomed all to this event. He joked that he was not model material since he was not taller. 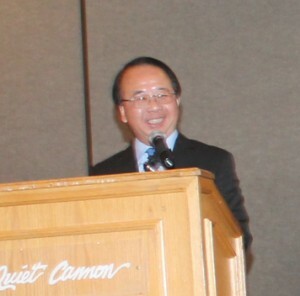 Mayor Pro Tem Liang thanked the guests for being here. He is the first man to join the Woman’s Club. Councilmember Real Sebastian said this is the International Women’s Day weekend. This club is 104 years old. She said all women are great. We are members for the next generation. Go girl! 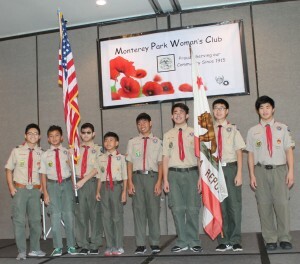 City Clerk Chang congratulated Katherine Torres and the club members for putting this event together. Mayor Peter Chan, Mayor Pro Tem Hans Liang, Councilmember Teresa Real Sebastian and City Clerk Vince Chang joined Katherine Torres for a group picture in honor of this event. A delicious luncheon was served before the Fashion Show. 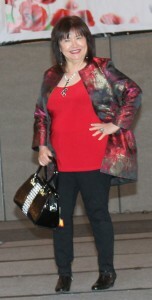 Karen Crisci narrated the Fashion Show. Women’s Fashions were by Magnolia Boutique in Arcadia. Men’s Fashions were by 3 Men Suits in Montebello. 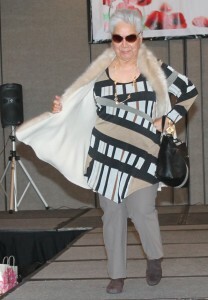 She welcomed the guests to this great fashion show. She thanked the firefighters and police officers for their participation in the fashion show. 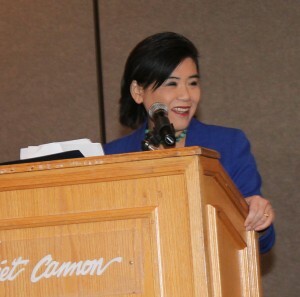 Elizabeth Yang graced the stage as she enjoyed the limelight. Nena Calica was proof that older women are beautiful. Olga Jordan adorned the stage like a seasoned model. 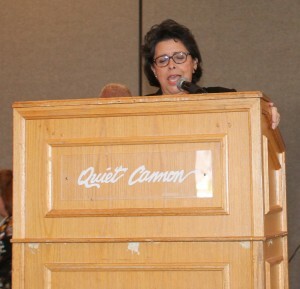 Elvia Millan enjoyed her time on the stage. 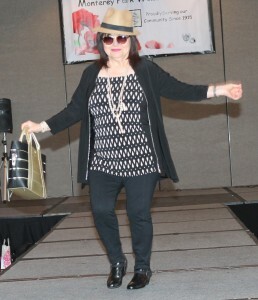 Shirley Hwong, a long time activist, enjoyed being a model for the day. Fire Chief Scott Haberle and his daughter, Skyler Haberle walked down the runway to the delight of the firefighters who clapped for them. 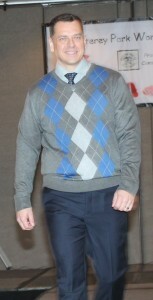 Skyler Haberle enjoyed being a model for the day. Belinda Montgomery and Dora Leung walked down the runway like seasoned models. Monterey Park Police Captain Steve Coday and his wife, Denisse Coday enjoyed participating in the show. They received loud clapping from the police officers in the audience. The models posed for a groups picture in honor of this very special event. There were several vendors who joined the show as well as many raffle prizes and a silent auction. 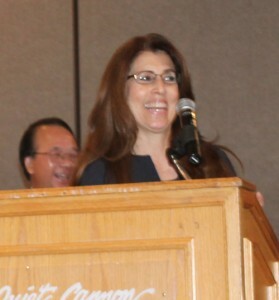 Second Vice President Sandy Hidalgo proudly announced all of the lucky winners. 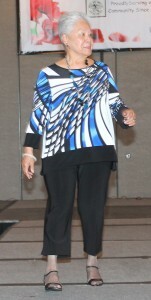 She thanked the audience for attending their club’s event. 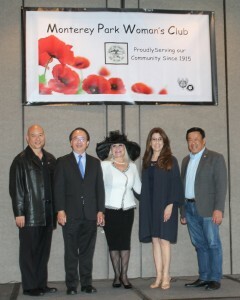 The Monterey Park Woman’s Club was established in 1915 with their motto “Work for Some Good”. This is a service club that is accepting membership from women and men. Their annual membership dues are $35. 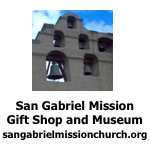 For more information on the club they can be contacted at Monterey Park Woman’s Club, P O Box 1281, Monterey Park CA 91754.